Dr. Thao Truong is a board certified optometrist. She attended the University of Maryland, Baltimore County on a full academic scholarship and received her Bachelor of Science in Biology. She then earned her Doctor of Optometry from the Pennsylvania College of Optometry in Philadelphia. She trained in Pediatrics at The Eye Institute of the Pennsylvania College of Optometry. She also trained extensively in Ocular Disease at the Veterans Administration Medical Center in Baltimore in conjunction with the Wilmer Eye Institute of Johns Hopkins University. In her first few years of practice, Dr. Truong started in primary care, providing eye care for adults and children. Then, for the next four years, she joined a multi-location ophthalmology and surgical center where she provided refractive surgery consultations, cataract evaluations as well as diagnosed and managed referral ophthalmology patients, both surgical and non-surgical. She also provided after hour, on-call care for post-surgical patients. Aside from direct patient care, Dr. Truong monitored and analyzed surgical complications to ensure that surgical results are consistently at or above nationally accepted standards. She also regularly lectured at continuing education courses on topics ranging from refractive surgery to the diagnosis and management of ocular diseases. During this time, she initiated an Internship/Externship Program to train fourth-year optometry students and fourth-year osteopathic medical school students. Then, drawing from this extensive experience, she provided her practical, clinical perspective as a consultant for Global Professional Services of CIBA Vision Corporation, a leader in contact lens research, innovation, and manufacturing. 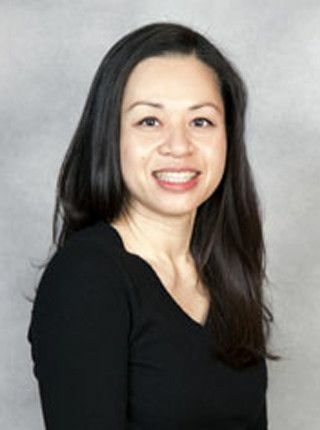 More recently, Dr. Truong decided to channel her vast and varied experience in eye care and patient care into a private practice where she can offer patients a high level of clinical care in a comfortable and professional environment right here in Forsyth County. And, as a resident of the County since 2002, she is committed to giving back to the community by donating her time and professional services by taking part in vision screenings in many of elementary and middle schools in the County. Outside of the office, Dr. Truong enjoys spending time with her family, including her two dogs, and friends.